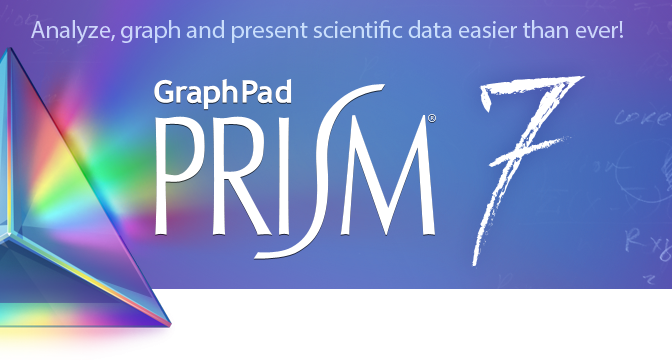 On February 13, 2017, the GSC Career Path’s Committee kicked off the year with a workshop learning the basics of the Prism Graphpad software. In the past, students had expressed interest in analysis of data using statistical software as well as graphing the data in a presentable fashion. Therefore, the GSC thought a workshop on PRISM would not only be very useful but also have a significant impact on the students’ research careers. The workshop was kindly guided by Dr. Dan Cox, a professor in the Neuroscience department, and it took place in the computer room in the Sackler library. The workshop was well-received, according to GSC representatives Vaughn Youngblood and Roaya Alqurashi. “(The workshop) was a successful one. The attendees loved how Dr. Cox explained each application you will need to use in Prism with an active learning experience” Roaya said. Vaughn mentioned “the Prism workshop was helpful! It taught the fundamentals of using Prism along with how to represent different types of data. Hopefully, we can bring Dr. Cox in for another session with another statistical program like R.” If time permits this year, the GSC Career Path’s Committee hopes to hold several more workshops like this with different analysis softwares (R, SAS, etc.). In the April issue of the Sackler Insight, we published an editorial discussing the career development resources available for Sackler students, their effectiveness and how they could be better suited to the dynamic landscape of a post-PhD worklife. As a follow-up, the Graduate Student Council (GSC), in collaboration with the Dean’s office, developed a survey to hear from students about their needs. This editorial will focus on the outcomes and suggest recommendations to be implemented by the GSC and the Dean’s office. The survey was conducted over a period of 2 weeks, and around 1/3rd of all Sackler students responded, with representation from all class years and programs. 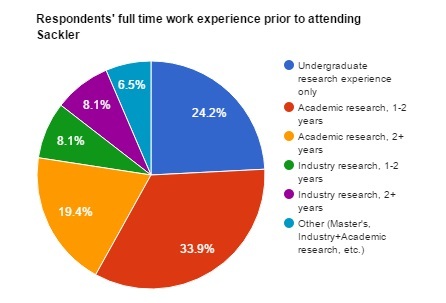 Majority of the respondents had either prior research experience in an academic setting or had come straight from their undergraduate institutions, as shown in the pie chart below. While career development opportunities were of varying degrees of priority among the respondents at their time of graduate school interviews, almost all respondents, regardless of class year, considered these opportunities as a high priority at the time of the survey. 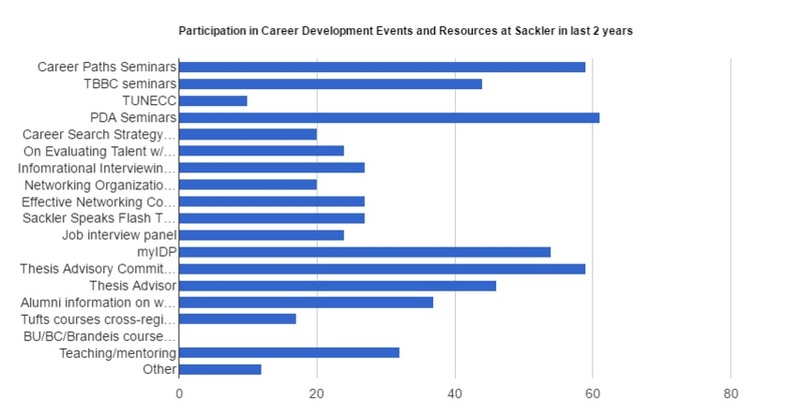 The survey also asked the students to indicate how many career development events at Sackler they had participated in over the last 2 years and to rate their usefulness. This data has been summarized in the bar graphs below. The same was asked for any career development opportunities outside Sackler the students had participated in. The students were also asked to indicate reasons they were unable to attend the events at Sackler and what kind of events they would like to see more. Lastly, an open-ended question was posed to gather additional comments from respondents. After analyzing the data, we identified 3 premises that were prevalent among the responses. Majority of respondents to the survey advocated for more networking opportunities and information regarding alumni’s current jobs. 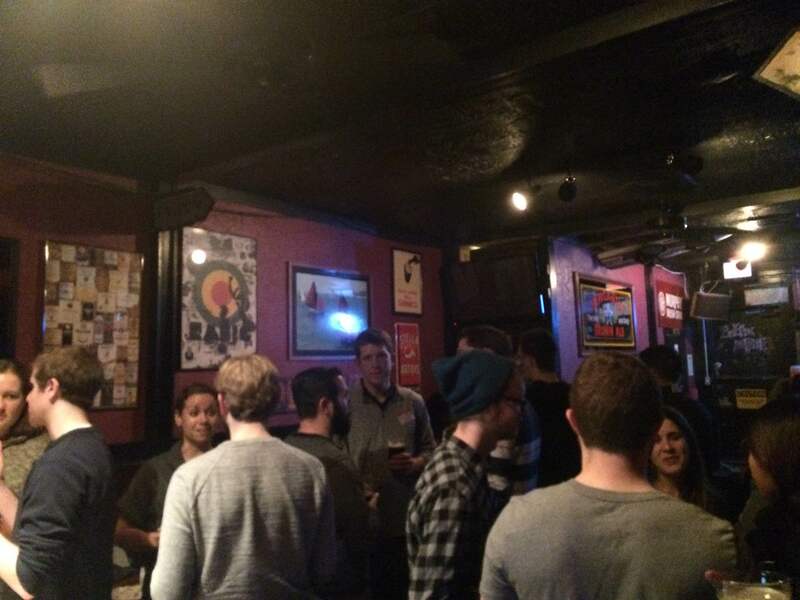 The comments section also focused on the disconnect between alumni and the current students. While there are no Sackler specific alumni databases, as is true for other Tufts schools, it should be noted that Tufts does maintain a database of all alumni through the Advancement office. Individual schools can request alumni information through the advancement office and vice versa. There is already an existing network of Tufts alumni called Tufts Online Community (OLC) that allows Tufts alumni and students to establish and maintain connections. More info on the OLC and how to register for it can be found here – http://tuftsalumni.org/who-we-are/faqs/#community-what-is. Additionally, the Dean’s office, who keeps track of the Sackler alumni through social media services such as LinkedIn for training grant application purposes, also update the alumni information on the Sackler website (can be found here – http://sackler.tufts.edu/Student-Life/Career-and-Professional-Development/Career-Outcomes). Given that this existing database can be effectively used for networking, we urge the Sackler students to utilize this resource for their benefit. We also urge the GSC and the Dean’s office to hold a workshop to showcase this resource and guide the students on how to use it most effectively. A stronger alumni network can also be made possible through student organizations such as TBBC, who have been able to form a tight-knit group of peers across programs and class years. There have been requests for a full-time career development resource to be made available for the Sackler students. However, due to the small size of the school, and the cost associated with hiring new employees and setup, it is difficult to be justified considering that PhD-track Sackler students do not pay tuition. However, if there could be a collaboration between the PHPD programs in the TUSM and the Sackler school, it could potentially provide a critical mass to warrant a full-time career office to serve all the schools on the Boston campus, albeit for broader services such as resume reviews. The changing landscape of the post-graduate work opportunities also indicate that there is a need for alternative career options, related to the healthcare and biomedical professions, which can be addressed through collaborative efforts between the various schools on the Boston campus. For example, last year the Sackler GSC collaborated with the Friedman nutrition school to host a career fair. Even if a full-time career resource center on the Boston campus is not possible, it’d serve the students well if the GSC, the PDA, and the Dean’s office could organize a few resume review workshops for students and post-docs throughout the year. 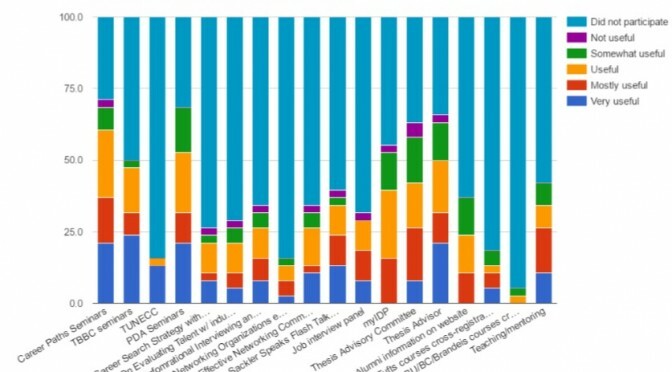 The bar graph showing the usefulness of the various career development events and resources indicates that most respondents find the seminars organized by Career Paths, TBBC and PDA to be most useful. However, some respondents commented on the focus of these seminars to be heavily biotech or industry-centric, which could undermine the needs of students who are not looking into get into such fields. While in general there might have been an increased number of events with such a focus, it should be noted that the GSC have sought to put out a diverse group of seminars, panels and workshops to help students pursuing any non-academic career path. Historically, the career paths committee of the GSC have focused on non-academic careers since that was the gap that needed to be filled – the Sackler faculty are well-equipped to provide advice on academic career paths, but that is not necessarily true for non-academic ones. In addition, a clear distinction needs to be made between the seminars organized by the various student groups – TBBC seminars will be focused on the biotech industry whereas the GSC seminars are more likely to include a diverse group of topics, based on their mission statements. This being said, it would also serve the GSC well to have a standardized version of event flyers for easy recognition. It would also help to showcase their previous events through the blog so students unable to attend such events can follow-up on what was discussed and presented. In the last year, the PDA, GSC and TBBC have all worked closely together to host events that have been well-attended and lauded, and this is a trend that should continue to aid students and post-docs alike. However, more visibility and promotion of these events are required for a well-rounded attendance, as indicated by some survey respondents. MyIDP was indicated to be really useful by the respondents who had used it, although this resources was not used by majority of the survey users. This shows that there is a need for a myIDP workshop that would help guide the students on using the valuable resource, which was deemed to be more useful than talking with thesis advisory committees. This workshop can potentially be done at the beginning of the academic year in September, to help the incoming and the rising students. Recent graduates should also be invited to a panel on different careers as mentioned in myIDP. This would further aid to establish connections between current students and alumni. Additionally, grant writing workshops should also be organized for both students and post-docs, as requested in the survey. This survey was conducted to gauge student interest in career events and resources and how the existing ones can be tailored to better fit the needs of the Sackler student population. While valuable data was obtained from this survey, it should be noted that this data is inherently biased since the respondents are more likely to seek out career development opportunities within and outside Tufts, and are likely to be more active in participating in events and workshops. Even with these limitations, it can be safely said that Sackler students have laid down a strong foundation of career development resources and events through their own enthusiasm and efforts and grassroots organization. And it is to this collaboration between student organizations and the Dean’s office that we should turn to ensure proper career development resources are made available for Sackler students and post-docs. This two-part editorial by the Insight team seeks to open a discussion between faculty, students, postdocs and the school administration about whether the school is prepared for meeting the changes in the future of PhD holders. The first part will address the current available resources and the unmet needs of the students/postdocs, and will also explore some possible solutions. The second part, to be published in the next issue of the InSight, will carry the opinions of all parties involved collected through a survey and communication, which will serve as a stepping stone towards meaningful changes that will benefit us all. Editors’ Note, 4/11/16, 1:30 pm – The article has been modified to include corrected information regarding the BEST award application by Sackler. Previously it had stated that Sackler had applied for the BEST award and was not awarded due to lack of proper infrastructure. However, after communicating with the Dean’s office, we have learned that Sackler had applied in conjunction with other Tufts graduate schools and it is speculated the application was not funded partly due to complex administrative structure and evaluation and dissemination plans. The changes are reflected in the article. The Doctorate in Philosophy (PhD) is a degree awarded to recognize original contributions to collective human knowledge. Thus, it is no surprise that the next step after getting a PhD is to join the bastions where such knowledge is curated and cultivated, i.e., to pursue an academic career. 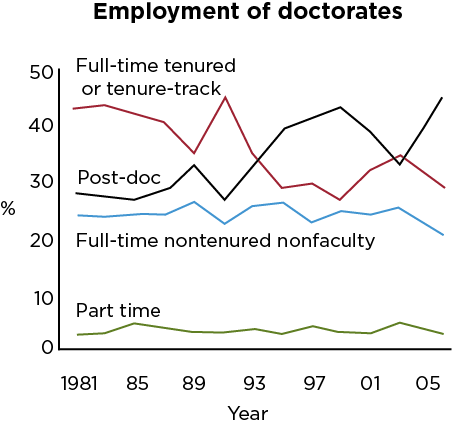 However, given the current structure of an academic job and the nature of academic tenure, a bottleneck in academic positions have taken firm root in the last years. According to Nature, the number of postdocs have jumped by 150% between 2000 and 2012 while the number of tenured or full time faculty positions in the US has either remained stagnant or fallen. 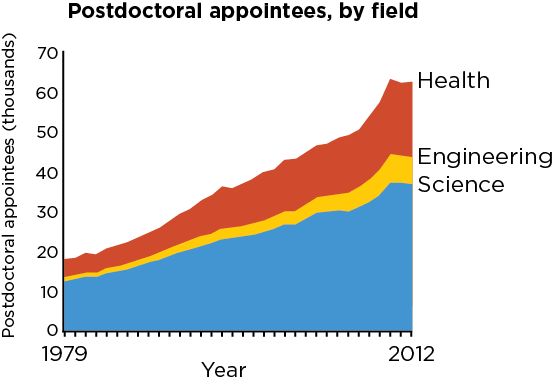 While the debate on how to improve the lives of postdocs and other non-faculty PhD holders rages on and restructuring of federal funding for scientific research is ongoing, the increasing number of PhDs leaving the traditional path and venturing into other professions is readily apparent. In recent years, the PhD degree has been developed as a marketable asset with a accompanied with a powerful skill set — the ability to think critically, solve problems and troubleshoot, be organized and detail-oriented. The idea that the skills required for obtaining a PhD are also recognized as required to be successful in any other profession, and is now being echoed by career counselors. While industry research positions were once spoken about in hushed voices before, these positions are now not only coveted, but other non-research jobs are also becoming more prominent in seminars and career advice panels for biomedical graduate students and postdocs. 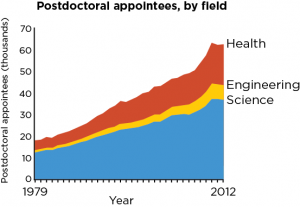 This trend is also evident within the graduate student population here at Sackler School of Biomedical Graduate Sciences, where more than half the alumni have pursued non-academic careers. 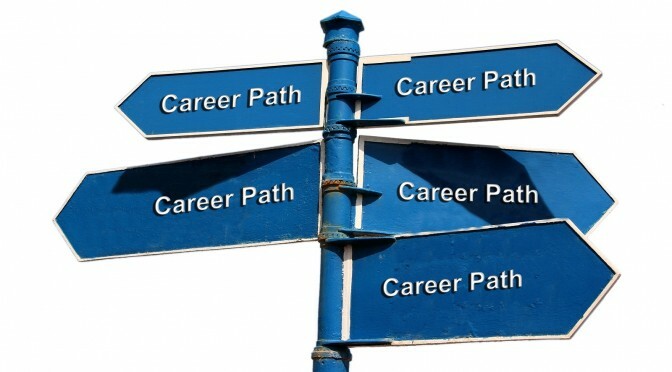 As the funding climate struggles to recover and academic positions become more scarce, the question arises of whether the existing model of career development for student and postdoctoral trainees is sufficient to ensure future success and achieving their goals. It is apparent that career development training outside of academia is required, but the support for this by the curriculum and administration at the Sackler School seems to lag behind our peer institutions, and even our colleagues on the Medford campus have access to the Tufts Career Center and the students in the Fletcher School have their own Career Services office. Resources currently available for students at Sackler interested pursuing non-academic careers are mostly driven and organized by the students themselves. These student-led initiatives have produced a full roster of seminars and workshops focusing on such career options held nearly weekly between the Career Paths Committee of the Sackler Graduate Student Council (GSC) and the Tufts Biomedical Business Club (TBBC). These groups have become increasingly active over the past few years, with their efforts growing into independent events like the Tufts New England Case Competition (TUNECC), as well as collaborations with the Tufts Postdoctoral Association and student groups in the School of Medicine. Additionally, the Tufts Mentoring Circles group has provided students peer guidance and spaces to discuss such career options among themselves. Every student initiative listed here has sought more interactions with Sackler alumni, but the information to facilitate that exchange is not readily available. Student leaders at Sackler have expended great effort to build the career resources the student body needs, but these efforts are reaching the limit of what they can achieve and will only be short term and partial solutions without additional resources and support infrastructure. Some of this could be built by students, like shared repositories for maintaining records and thus institutional memory so energy is expended solving new problems instead of rehashing old ones. The most important piece, however, cannot be done by students alone: an accurate, current database of Sackler alumni and their occupations that is accessible and searchable. We appreciate that the Dean’s Office has recently increased its support of these student efforts, but believe that more can be done. An increased contribution to co-sponsorship from partial funding of one or two events with the GSC annually to a series of three annual workshops and career panels over the past two academic years, and the interactions between a handful of students with Sackler alumni through the new “Day in the Life” program are good starting points. However, the student body and Sackler as an institution would derive greater benefit and return on an investment in career development and advising staff, similar to those available at the Fletcher School and the Medford campus, but scaled for Sackler. It would be mutually beneficial, as it works to the advantage of a school to have an engaged student body that will recognize and appreciate the school’s support in shaping their careers as alumni. Furthermore, this infrastructure could be a common point for alumni to rely upon and connect with students and each other. 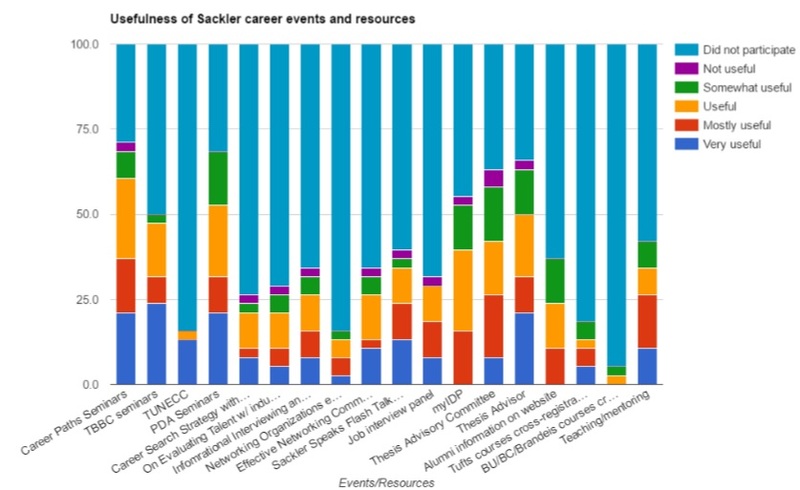 The lack of formal career development resources at Sackler has been identified by peer reviewers as an area for improvement, and puts us at a competitive disadvantage for student recruitment and securing grant funding. Prospective students actively seek graduate programs that provide career development, and among the recommendations made by the review committee for the newly-merged CMDB program were formal non-academic career training options and an expansion of extramural internships through the alumni network and faculty connections. Funding agencies such as the National Institutes of Health (NIH) evaluate grant applications on this aspect of graduate training as well. For example, F31 grant applications to support graduate students require descriptions of career training and development; the proposed changes will essentially strengthen the Sackler students’ applications and may increase the number of extramurally funded students, alleviating the pressure on the school. A more recent example includes the NIH Broadening Experience in Scientific Training (BEST) awards, a funding opportunity established in 2013 in response to the state of the biomedical workforce and to prepare trainees for diverse career paths that utilize their PhD training. Boston University received a BEST award in 2014 for its biomedical research programs in part because of its existing career development and support infrastructure. It should be noted that Sackler, along with other graduate schools at Tufts, had applied for the BEST award. While the reviewers had found the application to be strong in certain areas and to have “potential for high impact”, they also noted weaknesses that included “complex administrative structure and the evaluation and dissemination plans”, which could partly be responsible for the award not being funded (source – email communication with Sackler Dean’s office). These issues can be addressed with the establishment of the proposed infrastructure development and can further strengthen such grant applications in the future. The faculty mentor plays an important role in shaping a mentee’s future career — the mentor’s support and guidance are essential for the mentee’s career development. While Sackler faculty are generally supportive of students and postdocs, it is critical for them to come forward and actively support mentees’ who choose to pursue careers outside of academia and research. The Greater Boston area is known as a hub for biotechnology research and business, with companies specializing in everything from drug development to consulting. Many recent and local alumni maintain a connection to Tufts through their faculty mentors absent a career development office at Sackler, and both students and postdocs would greatly benefit if the faculty mentors shared these connections, and offered guidance and support on leaving academia. Developing an accessible, searchable, up-to-date database of Sackler alumni that can be used by students, postdocs and faculty looking for career advice and connections. Faculty support in the form of guidance and connections in developing non-academic careers. Career development support staff for students from the Tufts and Sackler administration, so as to cultivate an engaged alumni population. A survey to collect more detailed data from the student body will be conducted by the Sackler GSC in the coming weeks. In an effort to continually explore the interface between science and business, Tufts Biomedical Business Club recently caught up with Dr. Zach Scheiner, an Associate at RA Capital Management, for a discussion about his experience in the healthcare investment industry. 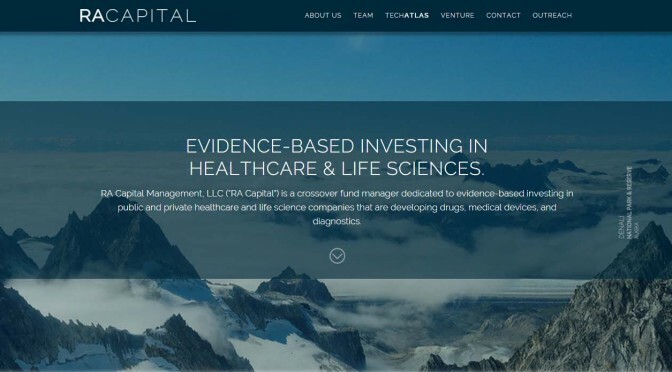 RA Capital Management is a crossover fund manager dedicated to evidence-based investing in public and private healthcare and life science companies. 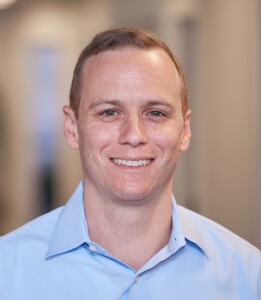 Prior to his current role at RA Capital, Zach worked as a Science Officer at the California Institute for Regenerative Medicine, where he managed a portfolio of research programs concentrated in translational neuroscience. He holds a BS in Molecular Biophysics and Biochemistry from Yale University, and a PhD in Neurobiology and Behavior from the University of Washington. As an Associate for RA Capital, Zach’s efforts are realized through the team’s core research division, TechAtlas. This division is a scientifically trained team that maps out competitive landscapes in a continual effort to survey the landscape and identify emerging therapeutics and technologies that will reshape how physicians treat disease. The interview is edited for brevity and clarity. Tell me about the career path that led you to your job. How did you become involved with RA Capital Management? My interest in biomedical science and research began as an undergrad, when I had several summer research internships and was exposed to a few different fields of research. At the same time I had my first opportunity to teach science classes at a local high school and quickly realized that I also had a passion for teaching. After graduating, I decided to teach middle school science and math for a year (which turned into three) before returning to research and going to grad school. I attended the Neurobiology & Behavior graduate program at The University of Washington in Seattle. My thesis work focused on the molecular basis of memory and drug addiction. Though I enjoyed my time as a graduate student, by my fourth year I began to realize that the academic career path and spending more years at the lab bench were not for me. I really enjoyed reading primary literature, planning experiments, and reviewing/analyzing data, so as I finished up graduate school I began looking at alternatives where I might be able to incorporate these interests as well as leverage my scientific background in a non-research capacity. I found a great opportunity at the California Institute for Regenerative Medicine (CIRM) in San Francisco. CIRM funds stem cell research at institutions throughout California with the goal of advancing promising stem cell based therapies into clinical trials and ultimately to patients. I began as a science writer and quickly moved to a position managing a portfolio of translational research programs. In this position, I worked closely with funded scientists to help set milestones and success criteria, assess progress, and, however possible, facilitate success. In my six years at CIRM I learned a tremendous amount about the drug development process, gained experience reviewing and analyzing data, and developed management skills, all of which have been invaluable in my current role at RA Capital. My move to RA Capital was the result of my wife being offered an assistant professorship at Brown University. In preparation for the move from one coast to the other I reached out to everyone in my network, including an old lab-mate I had stayed in touch with from graduate school who was now an Associate for RA Capital. I had a long-time interest in biotech investing, nurtured by my dad, and had been learning about this part of the industry in my spare time. Luckily, RA was hiring and the rest is history. For me, RA Capital was a perfect fit. I can put my communication and analytical skills from teaching, grad school and CIRM to good use and I love staying immersed in cutting-edge science while learning more about the investment side of the biotech industry. What are the duties/functions/responsibilities of your job? As an Associate with RA Capital, my primary role involves creating dendrograms (mind-maps) of specific diseases or capabilities within the healthcare industry. These comprehensive landscape maps take all the available drugs, both on the market and still in development, and put them into the context of current standard of care and unmet needs. They help our team fully appreciate and contextualize the market potential of assets and companies before making investments. Mapping out a disease landscape is a research-intensive process that involves surveying the literature, meeting with companies with assets in the space, speaking directly to physicians, attending scientific conferences, and analyzing data. The process can take several months to complete but the maps are never truly finished. Therapeutic landscapes are constantly evolving, new data are released and new licensing and acquisition deals are made. Our maps are equally dynamic and a lot of my time is spent staying up to date with the latest news and data coming out in the areas I cover. In addition to mapping, Associates also join the investment team in diligence projects on specific investment opportunities. Our maps are a great way of contextualizing drugs and their competitors and can help our team identify potential new opportunities but it’s always critical to dig deeper before making an investment. One of the most rewarding parts of my job is seeing all the work I’ve put in researching and understanding a therapeutic space pay off with insights that are potentially investable, or that directly benefit a diligence project. On a day-to-day basis I also survey industry news and the scientific literature not only to keep up with the science but to search for new investment opportunities that could be licensable for an RA Capital portfolio company or even form the basis for a new company. I also enjoy being involved in the recruiting process at RA and playing a small role in shaping the future of the company. What is the most rewarding part about your job? Personally, the most rewarding part of my work is knowing that we are investing in companies that are developing therapies for patients that really need them! These companies often have no marketed drugs and need capital to advance their assets through clinical trials and into the hands of patients. When I think about the work that I do, I know I am helping to identify great science, underappreciated drugs, and promising new opportunities. And I hope that by influencing where RA Capital’s dollars are invested, I’m impacting the whole healthcare ecosystem in a positive way. What experiences best prepared you for your job? I think all of my previous work experiences helped prepare me for RA Capital, the first of which was teaching. Communication is such an essential skill and getting an opportunity to develop this early in my career has been a huge benefit. Having controlled a classroom every day for three years definitely makes communicating with colleagues, companies and scientific experts a little easier. Effective communication is a vital part of this job. The second experience is my time spent as a graduate student. In graduate school I learned how to rigorously analyze data, both my own and from the literature. I developed my critical thinking and analytical skills and the ability to quickly identify key questions, design key experiments, and understand the limitations of a study. Lastly, at CIRM I learned the process of moving a drug from the lab to the market and everything in between. I also regularly participated in grant review meetings with panels of scientists, clinicians, and patient advocates. These meetings gave me the opportunity to learn what was truly important to each group. While the views and opinions would often vary between the groups, one key takeaway was that for a drug to succeed, doctors have to want to prescribe it and patients have to want to use it. My experience at CIRM taught me to evaluate drugs with the patient perspective in mind; new therapies are worthless unless patients will use them, and sometimes improvements that appear marginal can be very meaningful to patients. Very often, investment firms require that applicants have a background in finance, an MBA, or prior experience in the industry. That is not the case at RA Capital. I wouldn’t say any particular background or degree is required, but there are certainly skills that are critical. Analytical skills, for example. The ability to rigorously analyze data and quickly get to the “meat” of primary literature or a clinical data set is invaluable. Another key skill is effective writing and communication. Much of my day is spent writing and talking. I am continuously expressing my thoughts and providing analysis and it is important to do so concisely and effectively. In terms of personal characteristics, I would highlight skepticism. Being skeptical is a common trait among scientists due to the nature of research, but this skill is especially important when meeting with companies. Every company is trying to convince us that their assets or data are the best. Skepticism is required to separate the pitch from the quality of the science. Humility is another important personal characteristic. To put it simply, in something as complicated as drug development, it’s easy to be wrong! There are so many variables to consider, and science changes so quickly; it’s essential to have an open mind and be humble about everything you do not know. What are the biggest challenges you face as an associate for RA Capital Management? I think the largest challenge I face is simply the pace of the industry and science itself. There is new data coming out all the time; from company press releases, new primary literature, scientific conferences—the amount of information can be overwhelming. Developing the ability to quickly assimilate and analyze new information is the biggest challenge. But it’s also one of the things I enjoy most about my job. In this field you have to enjoy constant learning and also get good at processing information quickly enough to inform an investment decision. The fast pace is challenging but exciting. What are some other opportunities within RA Capital Management for scientists aside from the TechAtlas Research Division? Most opportunities for PhD trained scientists are within our TechAtlas research team. This team is made up primarily of PhD trained scientists in either Associate or Scientific Writer positions. The Science Writers work closely with the Associates as they build the story of their map, acting as a thought partner to develop the key insights for standard of care, unmet needs, and investable opportunities for each disease. As members of the research team gain experience, they can specialize in one of several areas, including early-stage assets, strategic analysis of licensing and partnerships, and equity analysis. For somebody interested in pursuing this career, what would be your advice to best prepare them? I would highly recommend that PhD candidates supplement their education in three areas: biostatistics, clinical trials, and FDA regulatory pathways. These topics are not always emphasized or even addressed in many graduate programs. A working knowledge of biostatistics goes a long way; being able to understand statistical pitfalls and the pros and cons of different analyses is invaluable. I would also recommend becoming familiar with clinical trials: the general FDA requirements for advancing drugs into Phase 1 trials and the typical development path for new therapies in your field of interest. Few graduate students get exposed to these areas. I would strongly suggest looking beyond the specific questions of own research project to get an understanding of the broader context: the standard of care for the disease, unmet needs, and competing approaches. If your research isn’t disease or therapy focused, choose a disease of interest or imagine potential applications of your work and research those. Putting new research and data into a broad context is a lot of what we do, so the earlier you can start practicing, the better prepared you will be. 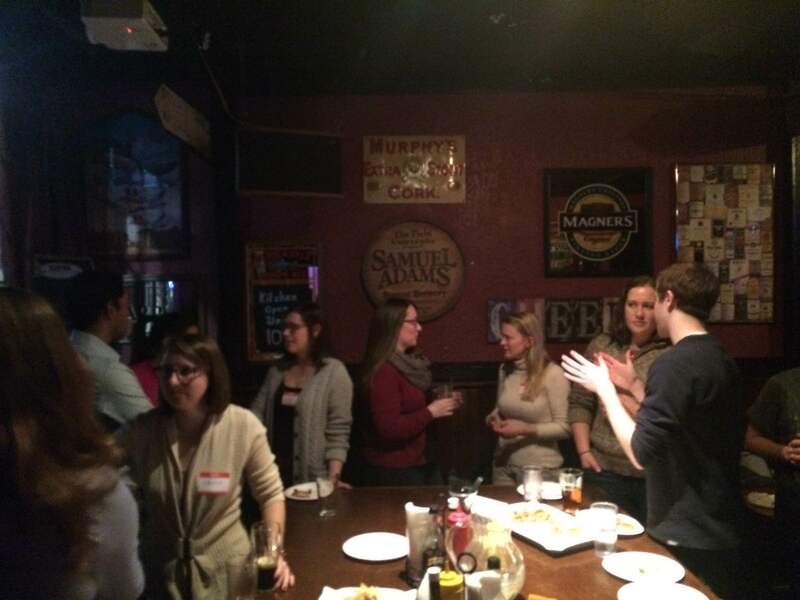 Shortly after returning from the holidays, the Career Paths Committee of the Sackler Graduate Council coordinated a biotech/startup mixer on January 6th, 2016 at the Field in Central Square. Representatives from bosWell, Neumitra, Genometry, Thrive Bioscience, as well as the COO of Editas Medicine donated their time to chat about their careers. 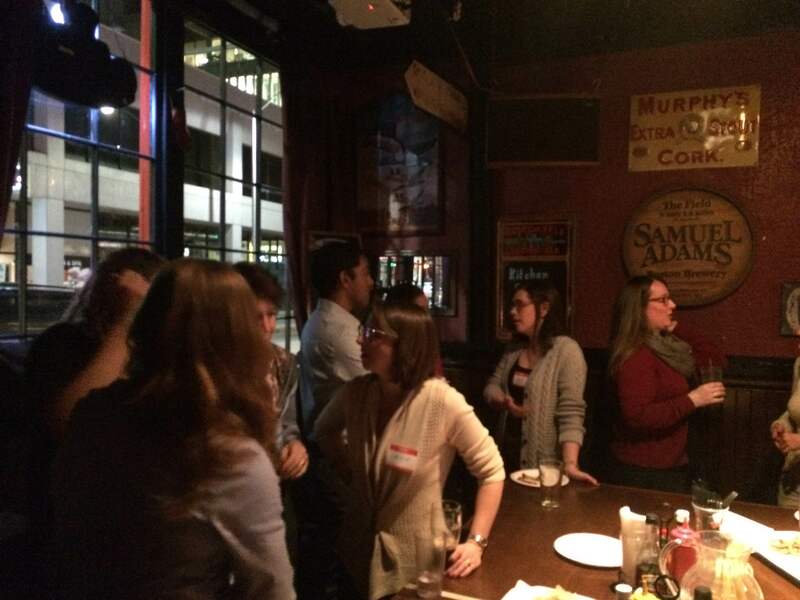 The event was remarkably well attended by PhD students, as well as a handful of post-docs and MD/PhD students. Whether it was the draw of learning more about alternative career paths, or the casual venue, the event was an excellent success. Of the myriad skills a scientist must have in his repertoire, arguably the most important is the ability to clearly present his findings. Whether speaking amongst colleagues, giving a talk at a scientific meeting or simply answering the age-old question, “So, what do you do?” at a cocktail party, the need for better scientific communication skills is ever present. But how does one improve their public speaking abilities insofar as they relate to science? The answer is as simple as it is nerve-wracking (at least for some); that is, speaking publicly about science. 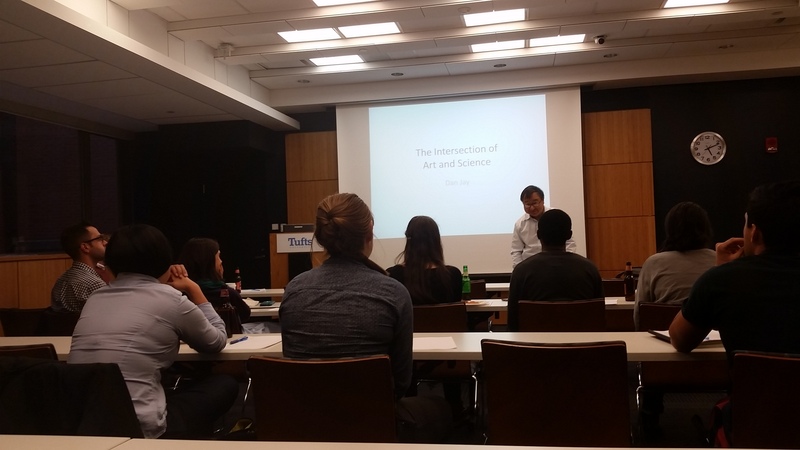 With this in mind, on October 20th, the Sackler Graduate Student Council Career Paths committee and the Tufts Biomedical Business Club teamed up to present the first “Sackler Science Open Mic Night”. The goal of the event was for students to present short, two to three minute talks covering some aspect of their research and to help each other workshop these talks, in the hopes of improving. This “flash talk” style of presentation is challenging as it leaves only enough time for the speaker to present the most crucial aspects of their research, but it is also one of the most frequently used skills whether it be at a networking event, an interview, or even in response to that question at a cocktail party. Professor Dan Jay joined students for the event and to kick it off he gave a flash talk of his own on a favorite subject of his, “the intersection between art and science”. Student presenters from all over Sackler gave talks ranging from astrocytes (and their communication with neurons via vesicular release of transmitters) to v-ATPases (and the signaling pathways that control their assembly). Presenters and spectators alike made the event a success, providing tons of feedback on how to improve those talks for future presentations. Keep an eye out for more events similar to the Sackler Science Open Mic Night in the future as the Sackler Graduate Student Council and Tufts Biomedical Business Club look for more ways to promote scientific communication. Alex Jones is a Neuroscience PhD student in the Reijmers lab studying changes in molecular profile of neurons during memory formation. He also serves as the current Treasurer of the Sackler Graduate Student Council. Get the Insight straight to your inbox!